Why do many people love visiting various art galleries staring at masterpieces for hours and purchasing costly pieces of art? Pablo Picasso once said: “The purpose of art is washing the dust of daily life off our souls.” So that way people enrich themselves, get inspiration to create something and just meet their emotional desire. Thankfully, today there is no need to go to the local art gallery because it is possible to visit it even sitting at home and having Internet access. So any of the artist can easily present their art works with just setting a WordPress website along with suitable WordPress themes. Do you have what to say to the world by means of your creative pieces? But you have no idea how to make a name for yourself. Modern artists turn to digital possibilities to create their own online galleries, e-commerce stores, portfolio, and so on. Thanks to the web, artists have an access to the environment that is free of restrictions and boundaries. Nowadays technologies have created a new unlimited field of expression and freedom for endless creativeness. Real art deserves a wide audience. The web is the environment that gathers millions of people of any age, gender and culture preferences. When you have online portfolio or your own digital art gallery, you can reach more potential fans and even customers. If you are looking for a job, your online portfolio is the best way to promote yourself and grab as more as possible attention to your talent. If you are an artist or designer, the web is a key place to show off your pieces of art because there is a wide-ranging audience from all over the world that can be easy turned into potential clients. 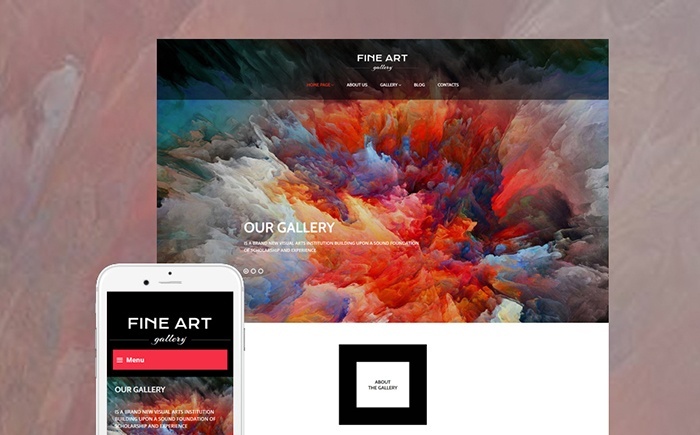 At the first sight, to run portfolio or art gallery seems to be a time-consuming and costly venture until you try ready-made top-rated WordPress themes for artists. The premium templates are perfect starting points for your creative business venture. With their advanced functionality and tons of additional features and options, so you can quickly yet efficiently build a website and spread the word about your talent. WordPress is by far the most usable CMS on the web with the hugest community. It powers more than 20 percent of all websites on the Internet. There are tons of extensions, plugins and other usable tools available to install. TemplateMonster’s WordPress themes are extremely responsive and highly adaptive to any modern device with any screen resolution. So running a website based on one these templates you can reach more clients, readers, and general public. In addition to easy and fast installation of the theme you will enjoy quick and fully functional customization process. 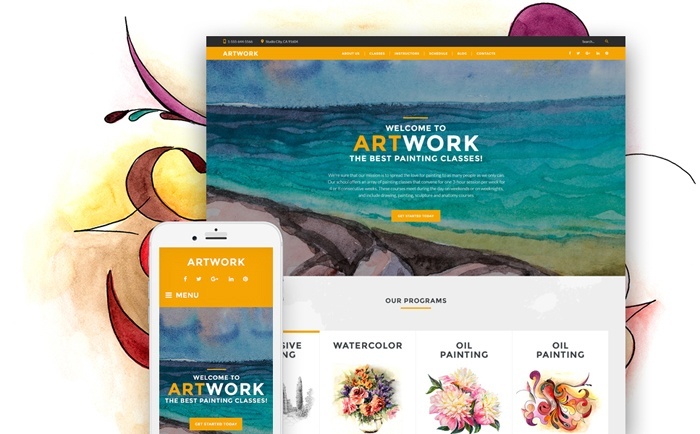 Make sure that your pieces of art are presented to its best possible quality with these 12 best WordPress themes for artists. This bright WordPress theme is fully responsive and highly adaptive to any gadget with any size screen. The theme has a professionally crafted and bright looking design that perfectly suits online art gallery or personal portfolio for an artist. With such visual effects as Parallax, Background video and MotoPress slider, it is easy and handy to make your pages captivating. The theme also allows demonstrating products in action that will definitely grab more attention of your potential clients. You can properly present your pieces of art on the internet with the help of this art dedicated WordPress theme. The theme is designed on the principles of incredible flexibility and unlimited expression of freedom. 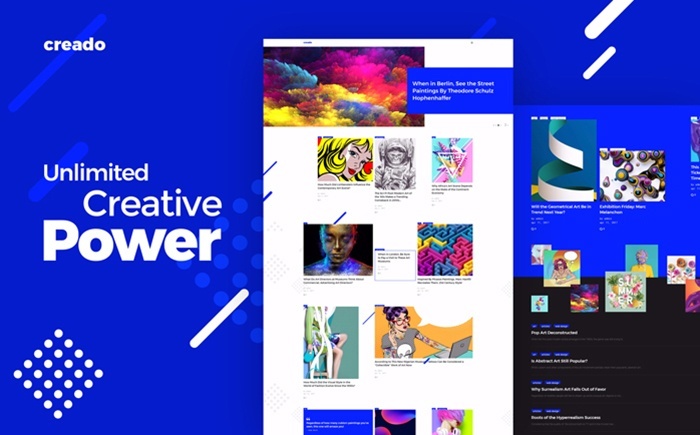 With Creado powered by the Grid CSS technology, so you can display your visual content in a new creative way. The theme offers 7 header layouts, multiple custom widgets and tons of Google web fonts to choose from. 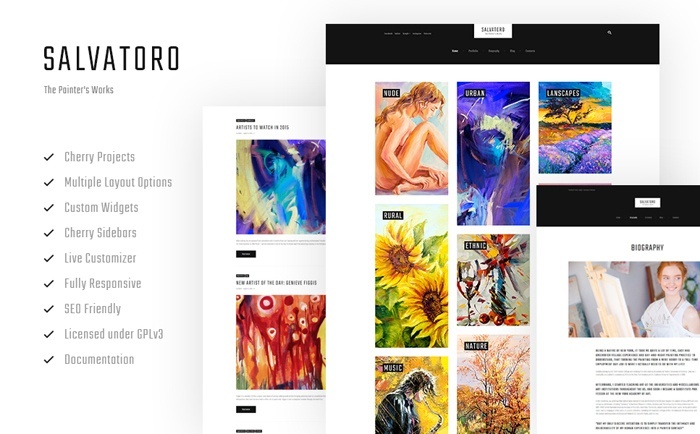 Salvatoro is a highly flexible and fast load WordPress theme dedicated to any art purposes. It comes with a live demo, comprehensive documentation and very friendly 24/7 support. 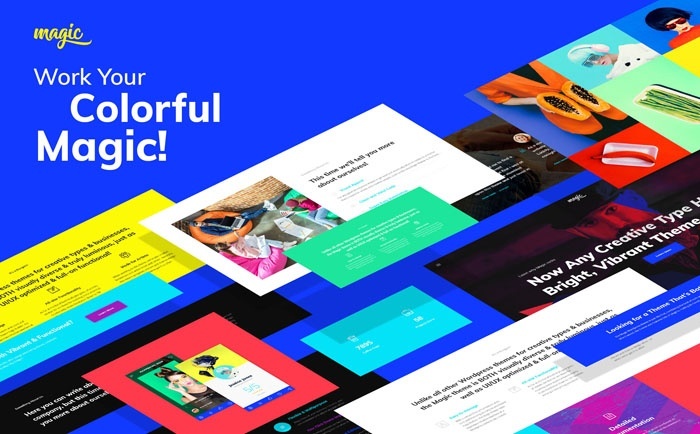 Salvatoro has a clean and well-structured layout enhanced with easy-to-use Cherry Projects functionality and multiple custom widgets for building a strong online presence. The theme stuffed with WordPress Live Customizer provides easy and fast customization process that doesn’t requires special skills and knowledge. 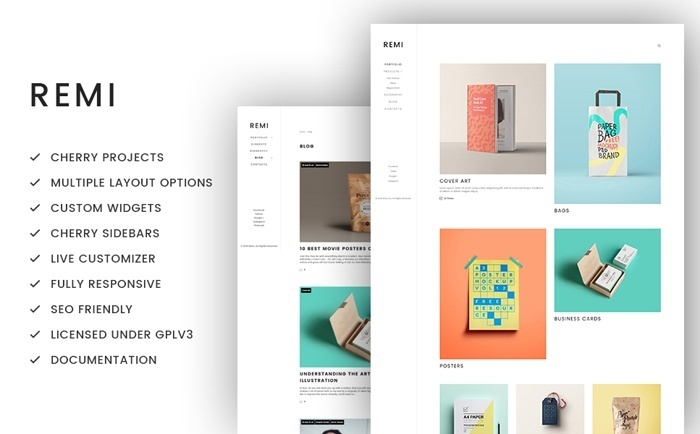 Remi is an elegant and pleasing looking theme that suits photographers seeking to release their creative side. The theme also a fully responsive, easy editable and adaptable to any device with any screen resolution. It goes with tons of pre-built options that give unlimited freedom for your creative ideas. Since the theme is built on a clean code based on HTML 5 and CSS 3, it is well optimized to search engines. Magic boasts stylish colorful design and multiple customization options allowing to stand your website out from the millions of others. Using Revolution Slider you can create multiple slideshows and captivate the audience. So, with the help of Power Builder and Live Customizer it is extremely easy to customize the theme even for a newbie. Magic comes with extended documentation and video tutorials as well as friendly support. 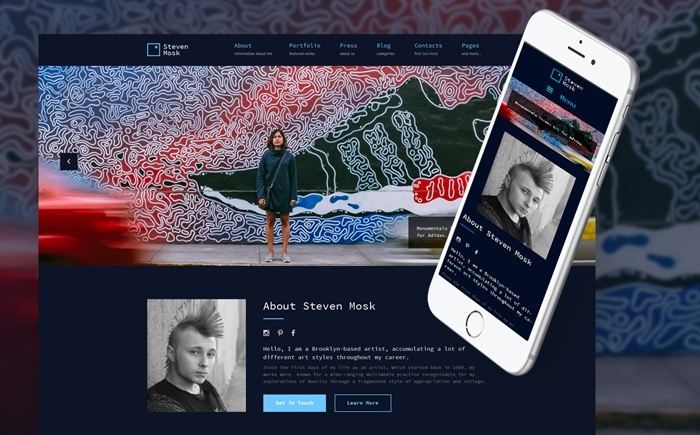 Steven Mosk is a dynamic, impressive and thoughtful theme that ideally suits any kind of art website – from personal portfolio to art galleries. You can also easily customize the design of the theme with drag and drop page builder feature in it. Using different content modules, you can modify and enhance the overall appearance and functionality of your website. With a built-in TM Gallery you have a great possibility to create responsive and stunning galleries. Siena is carefully crafted for those who are seeking for a creative, simple and fast way to be presented online. 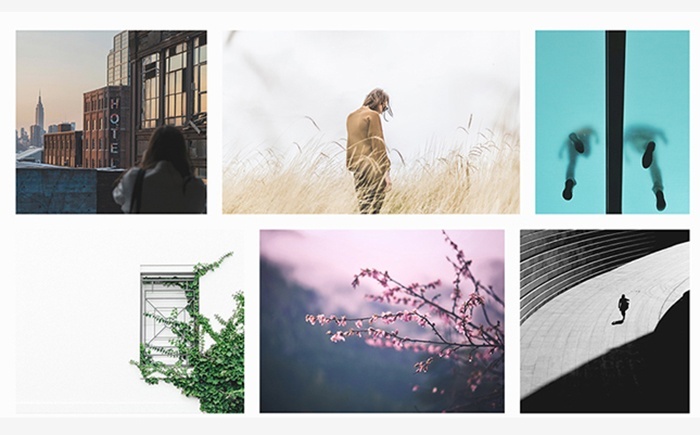 Since, you are a photographer with tons of works to display on the internet, this SEO friendly and user-oriented WordPress theme is the right choice. There is everything you need for a comprehensive portfolio website: a full screen homepage, three layout concepts with multiple features and amazing blog page. You can also edit quickly with no effort for each and every element of the templates. 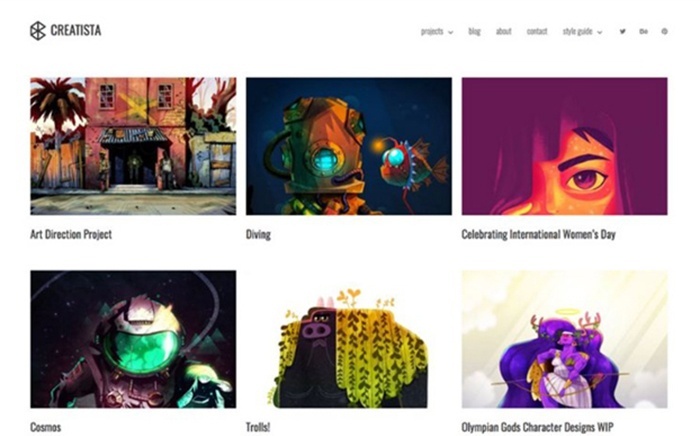 Creatista is a fully responsive and easily adaptive theme dedicated to any art website. So the collection of powerful features and advanced functionality will help you start your website with no effort. With a built-in Jetpack portfolio plugin it is easy a pie to modify the appearance of your portfolio. 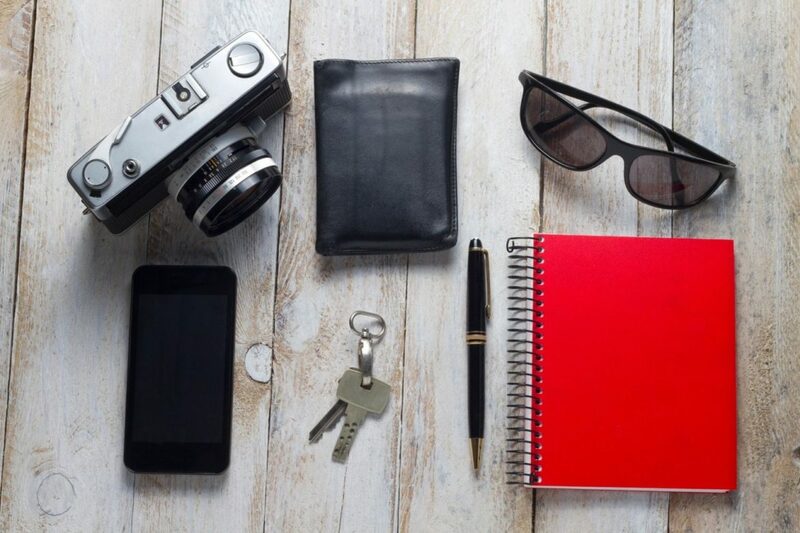 Creatista can adapt to any screen size or device. 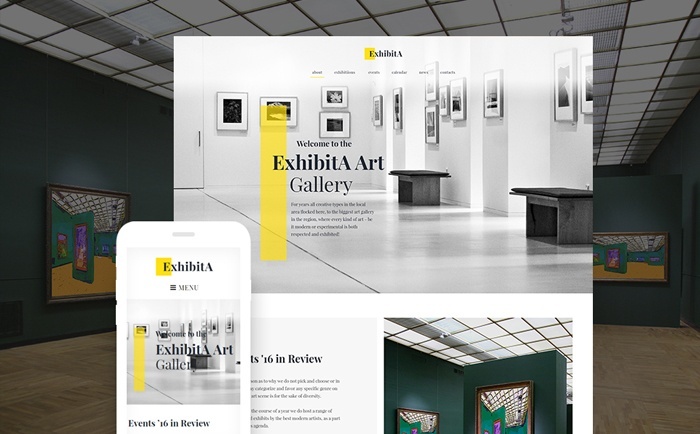 ExhibitA can turn into a powerful and captivating online promo tool for your art gallery business. The WordPress theme is well-crafted, smart and very flexible so that it will be a real pleasure to work with it. In addition to the rich variety of layout options you achieve tons of Google web fonts, clean SEO-friendly code and effective support. Moreover, the template is packed with an Appointment manager and Timetable plugin that make users’ experience handier. All you need is this theme if you want to succeed as soon as possible. There are different premade skin features, but nothing is holding you from building your own. You can absolutely control over the structure and design of your website since the theme is packed with necessary tools and options. The theme is a fully responsive layout that makes your website look perfect on any types of devices. 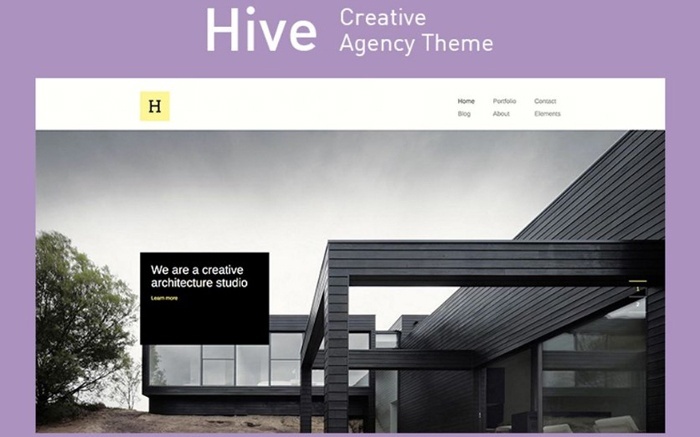 Hive is a modern looking and incredibly innovative WordPress theme suitable for creative agencies. The theme has nothing extra but looks impressive and well-thought. It also optimized for mobile devices and other devices with any screen size. For creating pages and layouts also uses Visual Composer that comes with multiple (50+) custom content elements, slider and features. For more impressive products displaying use shape masks including triangles, rectangles, and more. 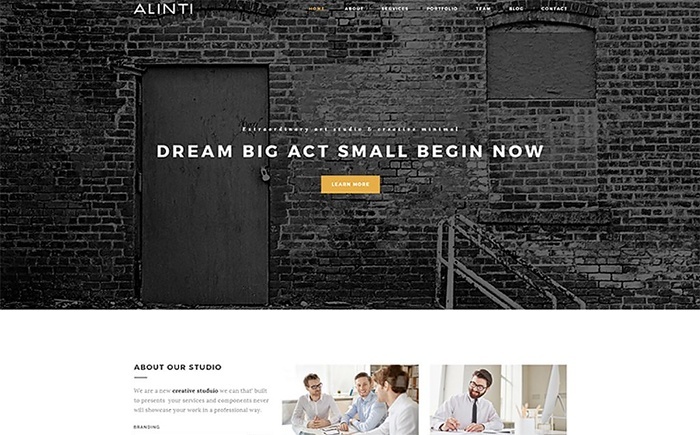 Alinti is a perfect choice for those who are looking for an awesome WordPress portfolio theme. Thanks to its astonishing, extra modern design and advanced functionality, many personal and business websites can use the theme. It has a very handy drag-n-drop Page Builder and convenient Visual Composer, so the customization process will be easy and fast. Using Revolution Slider allows arranging and demonstrating your pieces of art in the most attractive manner in order to grab visitors’ attention. With SEO optimized clean code it won’t make effort to gain top ranking. If you are not tech-savvy, it is easy to fail starting a website from scratch. However, it’s quite difficult to get lost in the details with the well-organized and professionally crafted WordPress themes for artists. This list of premium templates offers a wide variety of layouts, interfaces, extensions and options. An artist is a very busy person and these themes help him to spend less time on maintaining website and devote more time to creating new artworks. 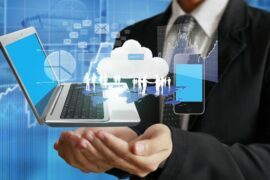 What factors to consider when choosing a web hosting company?